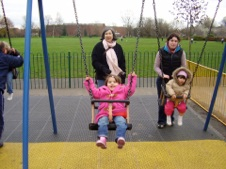 Families in Wallington are lucky enough to have a great selection of green spaces to visit. Here are Local Mums' favourites. Most parks have a children’s playground and many have other facilities as well. With the Borough of Sutton being one of the greenest in London, we are spoilt for choice for fantastic outdoor areas. Parks usually only open during daylight hours. Admission is free but a charge may be made for facilities like Crazy Golf. The children's playground was highly commended in The Grove's Green Flag Award. 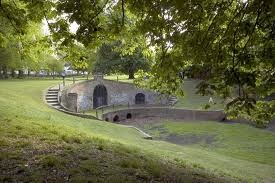 Priory Park is a 65 acre park, with gardens, grassland, woodland, a lake, recreational facilities and a lovely playground. The park is very close to the town centre and is a short drive from Sutton on the A217. Events are regularly held here, including concerts and firework displays. The playground is fantastic and has something for all ages. 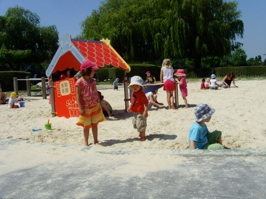 There is a large wooden pirate ship and a huge sand pit. The grassy area is enormous and is great for picnics. There is also a good cafe there with lots of outdoor seating. Free entry. Reigate’s Priory Park Pavilion houses the park's information centre, cafe, toilets and park office.